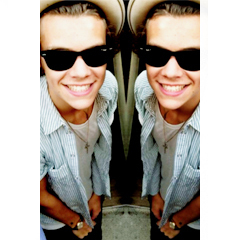 Hazza Styles ✿. Little special things for my Luke, to say sorry for the long wallpost wait. Hope wewe like them babe! ✿. Wallpaper and background images in the S8rah club tagged: photo s8rah ✿ xayeishax. This S8rah photo contains miwani, giza glasi, vivuli, and miwani ya giza.